New to BlackBerry Q10? If so, and that you need some guide in using your phone's browser, we then invite to read this entire content. This guide is primarily aimed at helping new users of BlackBerry Q10 smartphone, who are trying to use the phone browser for the first time. By the end of this tutorial, we expect you to learn how to launch and use the BlackBerry Browser feature on your new handset. A. 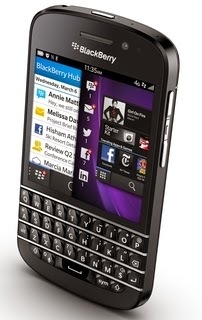 How to Access the Browser on BlackBerry Q10? To access the BlackBerry Browser, go to the Home screen and then tap Browser. You will then be prompted with the browser's main screen, wherein you can perform Internet searches and/or navigate from a website to another. * Zoom a page - to zoom a page, slide two fingers together and apart, or double tap on the browser menu bar on top. * Pan a zoomed page - to pan a zoomed page, slide your finger on the screen. * Open your bookmarks - to open your bookmarks, history, and tabs, just tap onthe bookmarks icon on the bottom-left corner of the screen represented by a layer of squares with number. * Configure settings - you can also tap for settings and configure options like turning on Reader mode for you to easily view webpages, perform searches, bookmark a page, share a page via email, BBM and more. If you are one of those who are in-a-hurry-type of web surfer, you can use keyboard shortcuts to perform specific functions while inside the BlackBerry Browser. Here are the shortcut keys to make Internet browsing faster and more convenient. That's all on BlackBerry Q10 browser's basic settings and keyboard shortcuts. Hope this helps!